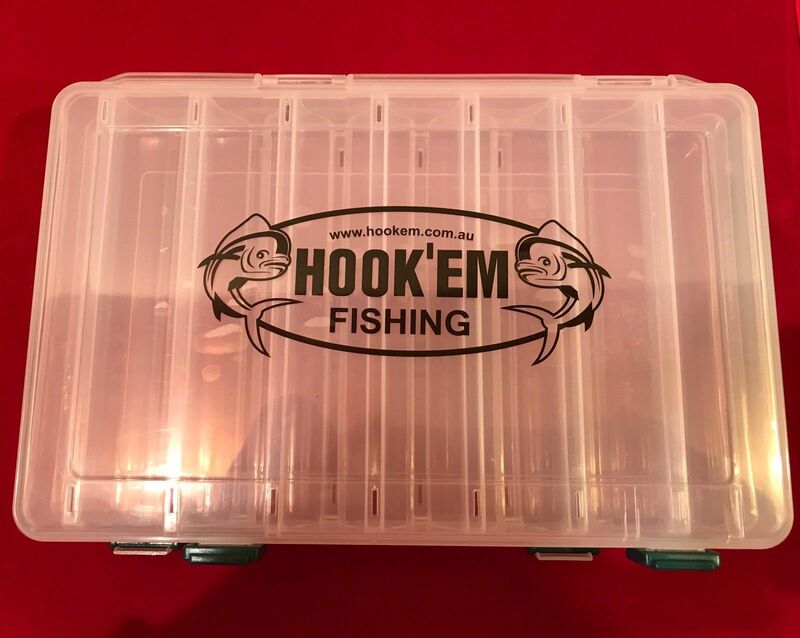 Premium quality double sided plastic tackle box is specially made for storing squid jigs up to size 3.5. 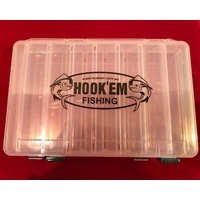 This premium quality double sided plastic tackle box is specially made for storing up to 10 (small) or 14 (large) squid jigs up to size 3.5. The box has drainage holes for water to drain away allowing your jigs to dry, and specially designed curved bottoms so your jigs sit compact in the container from both sides.